Cash is being called spooky! Cash seems to be the new 4-lettered word. Last May, the European Central Bank announced will stop printing the €500 banknote by the end of 2018 when the €100 and €200 banknotes of the Europa series are planned to be introduced. Although the announcement did not quote the Summers article, the announcement had addressed some of the issues he addressed. In June, Sweden became the first nation to announce a formal policy to become a cashless society within five years. According to reports, Riksbank, the Swedish central bank, claims that just under 2-percent of all transactions are made by cash. They expect that number to drop to one-half of one-percent by 2020. Most shops report that 20-percent of sales are made using cash. Sweden may be an outlier. Globally about 75-percent of all sales are made using cash. In the United States, it is being reported that some higher-end retailers have stopped taking cash. Retailers have been looking to the convenience industries as an example of the future. There are parking lots that no longer take coins in their parking meters. Pay stations now only accept credit cards. Some toll roads now require a special transponder to be mounted in your car because there are no booths to collect tolls. Those transponders must be linked to a credit card. Airlines no longer take cash when you buy beverages or snacks on the plane because handling the change is too difficult. New payment options have entered the market. Smartphone-based Apple Pay, Samsung Pay, and MasterCard Master Pass have worked to make it easier to separate you from your money by allowing you to wave your phone at the reader and pay. For most retailers, there is little they have to do in order to accept these payment methods as long as they are accepting chip-based transactions. Since the transaction cost to the retailer does not change, it is an incentive for them to accept these types of electronic payments. Although electronic payment options make up 13-percent of all cashless transactions you have to remember that this market barely existed a few years ago. Even as banks and large retailers push to increase the number cashless transaction, there are problems that society faces when moving to a cashless retail system. The biggest problem is one of scale. The United States makes more money, spends more money, trades more money, and has more economic impact than any other country in the world. It is the world’s single largest economy with a strong capitalistic culture where most of the commerce is done with small businesses. Amongst all business, 55-percent of retail merchants are cash-only enterprises. They are too small to consider paying the 3-to-5 percent fees for using a credit card, known as the “swipe fee.” Of those that do take credit cards, at least 36-percent require a minimum purchase. Once you get past the problem of scale, then there are the issues of the poor who do not have bank accounts. Aside from not having the economic power to work with the banks, there are some communities that are culturally opposed to the banking system. Even if they can afford to have a bank account, many choose not to open one. The near failure of large financial institutions in 2008 did not help in the trust factor. Of course, the one cultural issue that cannot be ignored is privacy. Cash transactions are private. Only the buyer and seller knows the details of the transaction (unless the buyer volunteers their loyalty or rewards account information). With the problems of hacking around the world, how do you know that your credit card transaction are safe? Should we ask the victims of the computer hacks on Target and Home Depot? Aside from privacy, credit cards can be costly to the customer. High-interest rates, debilitating debt, and collection issues see the use of consumer credit dropping when there is an economic downturn. During the Great Recession that began in 2008, spending went down and, when the economy began to improve, savings went up. When wages began to rise in 2010, more money was being spent paying down debt than adding to the economy. Rather than stimulating the economy, this creates a stagnant effect since the economy thrives more on the selling of goods and not by the managing of cash. It seems that every six months there is yet another “Chicken Little” story that either we are or should stop using cash. But when society seems to be set in using cash even when there is anecdotal evidence that makes it appear that we are on the brink of a cashless society, they become quiet as if they ended up in Foxey Loxey’s den! Reports of cash’s eventual demise appear to be as amusing as it is greatly exaggerated. For numismatists, this means that our hobby will continue to grow with new, fresh material for years to come. Happy collecting! Have you noticed that every election “is the most important in our history?” Or that “you have no clearer choice” than whatever any of the candidates are selling? There are so many clichés that it would require its own blog post. But what does that have to do with numismatics? Long-Stanton Manufacturing Company was founded in 1862 by John Stanton to make copper tokens that were used by merchants in the Cincinnati area when money was in short supply during the Civil War. Before starting his company, Stanton owned a company that provided the illustrations and dies that were used to make advertising tokens for the 1860 election. The Election of 1860 preceded the outbreak of the Civil War. It featured fractured party nominees arguing over the future of the union. The Republican Party, formed out of the ashes of the Whig Party, nominated former representative from Illinois Abraham Lincoln. The Democratic Party nominated Illinois Senator Stephen A. Douglas. But the Democrats were split along the issue of slavery. Pro-slavery southern Democrats formed their own party and nominated then Vice President John C. Breckinridge from Kentucky. A few other candidates were nominated but these were the three that were the focus of the election. One thing that is considered a highlight of this campaign were the famous debates between Abraham Lincoln and Stephen Douglas. The main theme of the seven debates was slavery. Primarily, Lincoln was anti-slavery and maintaining the union. Douglas was not pro-slavery but favored new territories to choose their own paths. Lincoln argued in his “House Divided” speech that Douglas wanted to nationalize slavery. This came following Douglas’s sponsoring of the Kansas-Nebraska Act that repealed the ban on slavery in the new territories passed as part of the Missouri Compromise. Although the use of language was more refined in 1858, the issues were just as divisive. Seven debates were not enough for the public. Manufacturers, such as the one that Stanton provided illustration and die making services for, struck tokens for the candidates and their supporters to give away to gain support. Lincoln won the Election of 1860 with a majority of the electoral votes carrying 18 of 33 states while gaining only 39.8-percent of the popular vote. Some say the election of 2016 is the most divided in our history. If we do not count the Election of 1824 in which nobody received a majority of electoral votes and the results had to be decided by the House of Representatives, it could be one of the more contentious election since the 1976 Carter-Ford race. The folks at Long-Stanton thinks there is an indecision in this election, although the polls show that the country is about evenly split. They think to celebrate the 156 years since John Stanton created his tokens the company created their Indecision 2016 token. Indecision 2016 token is 39mm and made of brass. Portraits of each of the candidates are on either side. If you are undecided, you can flip the token to choose who you will vote for. Unfortunately, the portraits barely represent the candidates. While the TRUMP side of the token is passible the CLINTON side would not be recognizable if it was not marked. While I do not consider either candidate physically attractive these portraits are worse. Since it is expensive to produce tokens and medals to just give away, the tradition of striking these types of pocket pieces are no longer part of the campaign. If you have ever read Warman’s Political Collectibles: Identification and Price Guide, you would see all the interesting trinkets that would be produced in support of the candidates. Nowadays, those who collect political memorabilia would be hard pressed to find something more than a button or lapel pin. Having received the Brexit token, I decided to purchase one of the Long-Stanton Indecision 2016 tokens for my collection. Although the token looks better in hand since it has a proof-like strike, a close-up view of the portraits are about as bad as the images on Long-Stanton’s website. For $8.95 for a single token, including shipping, it is not a bad deal. They do offer discounts for buying more than a few. Included in the package was an aluminum token from Long-Stanton that is “GOOD FOR 50 IN MERCHANDISE.” It does not identify the exact value of 50 whether it means cents or dollars, but it does not matter since it is unlikely to be redeemed from my collection. At 31mm it is smaller than the Indecision 2016 token but it is a throwback to times when tokens were created for store credit before paper coupons became ubiquitous. Rather than go with my numismatic collection, this token will go along with a small collection I have of political memorabilia. It will join other numismatic-related items that are related to my favorite president Teddy Roosevelt. I hope he is not insulted by either of these candidates. Somehow, I think T.R., George Washington, Thomas Jefferson and Abraham Lincoln might not be happy if they were around today. While there is enough going on with U.S. politics to make one’s head spin, on Thursday, June 23 the United Kingdom will hold a nationwide vote on whether the U.K. should leave the European Union. The last time the U.K. held a referendum on joining the E.U. was in 1975, which predates the modern European Union. It is called “Brexit,” a portmanteau of the term “Britain Exit,” as in should Britain exit the E.U.? The European Union was formed after World War II in various forms in an attempt to collectively rebuild Europe by integrating their resources. The first formal attempt was the Treaty of Rome in 1957 signed by Belgium, France, Italy, Luxembourg, the Netherlands and West Germany to create the European Economic Community (EEC) and established a customs union. What we know today as the European Union was established when the Maastricht Treaty became effective in 1993. As part of the integration under the E.U. is the common currency known as the Euro. First distributed in 1999 with 14 participating nations, now includes 19 of the 28 nations plus the Vatican, Monaco, and San Marino who are not formally members of the E.U. The United Kingdom (England, Northern Ireland, Scotland, and Whales) continues to use the pound sterling, sometimes referred to the Great Britain Pound. Ireland, sovereign from the United Kingdom, uses the euro. The U.K. is holding this vote because Prime Minister David Cameron promised to hold this vote as part of his 2015 campaign. When the Conservative Party won the majority of seats in Parliament, Cameron, as party leader, was elected by Parliament to serve as Prime Minister. Interestingly, many of the arguments for leaving the E.U. are similar to those being applied by the apparent nominee for the Republican Party in the United States while those campaigning to remain in the E.U. are similar to the apparent Democratic Party nominee. It just goes to prove that regardless of which side of the pond you live, politics is polarizing. For those of us Yanks who want to learn more, BBC News has published a good overview with links to more in-depth that you can click here to read it, if interested. So why is this significant for a coin collector’s blog? We do look at economic matters affecting collecting including those whose collection are being put together for speculation including the purchase of bullion-based numismatics. Also, the outcome could not only affect the world economic system but could also have an impact for those who collect foreign coins. If the U.K. votes to remain in the E.U. then the status quo remains. The British will go back to their partisan politics and scratch their heads over the U.S.’s partisan politics known as the 2016 presidential election. Markets that have tightened in anticipation of what Brexit may mean could see this as a temporary reprieve. If the U.K. votes to leave the E.U. the markets may not like it and the economy can go into a freefall. Markets do not like uncertainty and a vote for the U.K. to leave the E.U. would bring about the uncertainty of “what happens next?” and “now what?” Business leaders, who are largely in favor of remaining the in E.U., has noted that it makes it easier for them to move money, people and products around the world. What happens when those doors are closed? As we have seen when economies are uncertain, markets react by selling off speculative assets, like stocks, and running to safer investments like trustworthy bonds and precious metals. In the last three weeks in the run up to Brexit, gold is up $56 (4.6-percent) in the last three weeks and silver is up $1.41 (8.8-percent). Both are off their annual highs set on June 16 when published polls are suggesting that Stay has a lead greater than the margin of error over Leave. It is likely that world markets will decline and precious metals will go up on Thursday as investors try to figure out how the Brits will vote. Polls close in the U.K. at 2200 GMT, which is 11:00 PM in London and 6:00 PM on the east coast of the United States. There are 382 polling districts throughout the country. Each district is counted and forwarded to one of 12 regional centers. Once the regional center verifies the counts it will be forwarded to a chief counting officer that will announce the results at Manchester Town Hall. BBC suggests that results should be reported starting at 4:00 AM or 11:00 PM on the U.S. east coast. Market watchers can watch what happens to the Tokyo Nikkei 225 market index and Hong Kong’s Hang Seng Index. Both are the major indexes in the Asia/Pacific region and will be around their midday trading sessions on Friday. Medals are 31mm in diameter and weighs 14 grams. They come in pure copper or Abyssinian Gold, a type of brass made of 90-percent copper and 10-percent zinc that has a gold-like color. They can be purchased for £2.95 each ($4.33 at the current exchange rate) plus shipping (estimated at £6.00 or $8.80) directly from Chard’s website. Brexit combined flags image: Credit Philippe Wojazer/Reuters via the New York Times. 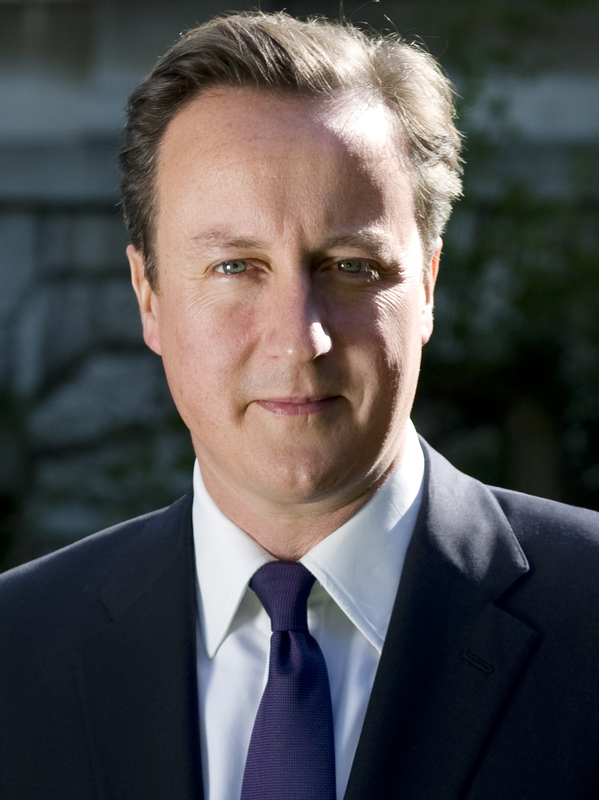 Image of PM Cameron is an official photo downloaded from Wikipedia. Static metals graphs courtesy of Kitco. Referendum Ballot image courtesy of Wikipedia. Brexit Medal images courtesy of Chard. Earlier this year, Shane Downing, editor and publisher of the Coin Dealer Newsletter, better known and “The Greysheet” died of colon cancer on Jun 18, 2015. Shane became publisher following the death of his father, Ron Downing, in 1997. The Downings have been running The Greysheet since 1884 when Ron and Shane’s grandmother Pauline Miladin purchase the publication from its original owners. The Downings expanded the publication to include quarterly supplements, The Currency Dealer Newsletter (Greensheet) for currency, Certified Coin Dealer Newsletter (Bluesheet) for certified coins, and special monthly supplements highlighting specific coins. In recent years, CDN has been available online as a PDF file in a program they call CDNi. Early last month it was announced that an ownership group led by John Fiegenbaum, formerly president of David Lawrence Rare Coins (DLRC), has purchased CDN Publishing. The ownership group includes Steve Halprin and Steve Ivy, co-founders of Heritage Auctions; Mark Salzberg, Chairman of Numismatic Guaranty Corporation; Steve Eichenbaum, CEO of the Certified Collectibles Group, the parent company of NGC. Fiegenbaum has retired from DLRC to dedicate his time to running CDN with the assurance that CDN will remain an independent entity. The other owners will remain in their current positions. Stressing the continued independence of CDN, the press release stressed that the publications will include greater focus on new grading standards including plus grading and the impact of CAC. CDN will be moving from California to the east coast. Although the press release does not specify the location, it is likely that CDN will be located in Virginia Beach, Virginia where Fiegenbaum has been running DLRC for over 30 years. One of the benefits of Fiegenbaum running CDN would be to improve online access to their publications. Under Fiegenbaum, DLRC has moved from mail and phone bid auctions to a successful online auction system. Their auction website is very user friendly and getting better as they receive feedback from users. DLRC’s website rivals that of Heritage Auctions, led by Halprin and Ivy, for ease of use and accessibility to the auction items. This is a powerful backing for better electronic access. Using the resources of NGC and Heritage Auctions, CDN could produce an online almanac of coinage including history and prices that would rival anything currently available. Making it accessible to collectors and dealers on both a free and paid basis could keep CDN viable for many years to come. Such a service could even surpass the every-ten-year effort by CoinWorld and the multi-volume effort by Whitman Publishing. While running DLRC, Feigenbaum has shown how embracing the Internet could benefit his company and the collecting community. If he can embrace electronic publishing by bringing existing resources to the Internet and look for expansion with specialty collectors, CDN could become the go-to resource for people interested in learning all about their collections by making it more accessible to the emerging market of Gen X’ers and Millennials. That would benefit the numismatic community more than phonebook sized volumes of dead trees or glossy pages with pretty red covers. Image of The Greysheet cover courtesy of CDN Publications. Image of John Feigenbaum courtesy of David Lawrence Rare Coins. During the latter part of 2014, I was asked to participate in a “Coin Experts Survey” by a representative from International Precious Metals. As one of the 19 experts, I was asked ten questions about my opinion about numismatic issues and some numismatic preferences. Although the survey results were published in January, I am now finding time to write about it. One of the problems I had with writing about this is that I did not know what to say. While it was fun to participate, what can I add to the survey? Rather than just reporting, I decided I would share my answers with some commentary. Question #1: What is your favorite individual coin? Prior to the appearance of the 1955 DDO Lincoln cent, there was almost no interest in error coins or that coins with errors can be collectible. After the discovery of the 1955 DDO, it was a number of years before error collecting was considered acceptable—I found a 1960 referenced to “spoiled 1955 pennies.” It is a historic coin in that it is the only coin that can be pointed to that started a type of collecting. That is what makes it so cool! Question #2: What is your favorite coin series? I love the design of the Peace dollar. The image of Liberty on the front is, in my opinion, the one of the best images on U.S. coins. For collectors, it is the one set of silver coins that may be the most affordable for average collectors with the 1928 and 1938-S being the most expensive. It is also the only complete set of silver coins I own. Question #3: What coin is most overpriced on the market right now? I have previously written of my dislike for CAC and how I feel they are practicing market manipulation. There are too many people willing to blindly accept CAC as an authority and some cannot explain why. While that CAC may have helped force PCGS and NGC to improve their processes, I have seen coins with CAC stickers I just did not like. Question #4: What are some examples of undervalued coins? I should have clarified this answer to say that almost any modern commemorative coin. There are many commemoratives that did not sell well and not worth much more than their bullion value and a small numismatic premium. Even though they were not popular, they do have artistic value. A dedicated collector could put together a nice collection of modern commemorative coins for not a lot of money. Question #5: What is the hardest coin to locate and purchase in the US? While most of the people taking the survey left this question blank, I was thinking about my own experiences. Not including rare coins, it is not that difficult to find key and semi-key dates. But if you really want to search for coins that are not easy to find, try to put together a set of extra-fine to almost uncirculated Liberty Head nickels. You can find a lot of lower grade nickels and higher grade nickels. Finding these solid mid-grade nickels can be more difficult than finding a 1913-S Type 2 Buffalo nickel. Question #6: Do you think the penny will ever be phased out? If so, what year? Although I am not in favor of eliminating the one-cent coin, I do not think it will ever be eliminated because of the dysfunction of congress. Congress would not be able to come to any consensus and neither side of the aisle does not have the intestinal fortitude to make a stand one-way or another. Question #7: What President deserves to be on a coin/bill that hasn’t previously been featured? In this political climate, I knew what the dominant answer would be. Rather than thinking about the political, I was considering what president had the single largest impact on U.S. coinage. No other president had the impact on coin design than Theodore Roosevelt. While his “pet crime” was directly responsible for the designs by Bela Lyon Pratt, Augustus Saint-Gaudens, and Victor D. Brenner, it was the seed he planted for the renaissance of coin design. Remember that James Earle Fraser and Adolph A. Weinman were Saint-Gaudens’ students and added notable coin designs of their own. Question #8: Do you think the US will ever introduce a brand new denomination? For the same reason that congress would never be able to vote on legislation to eliminate the one-cent coin, the same dysfunction will prevent new denominations from every being created. Question #9: Which of the following phased out coins/bills do you think the US will begin minting in the near future? My answer: All items in the list are being produced except for the Susie B’s. There is no correlating law to authorize the U.S. Mint to produce the Susie B thus it could never be produced unless congress changes the laws. Kennedy halves and Sac dollars are being produced for the collector markets, but there are correlating laws to allow them to be produced. Authorization is codified in 31 U.S. Code § 5112. The $2 Federal Reserve Note is different in that the law (12 U.S. Code § 411) authorizes the Federal Reserve to determine what notes are produced. The way the law is written, the Bureau of Engraving and Printing is not as regulated as the U.S. Mint. The only legal consideration is that the Fed could only have notes produced based on the denominations codified in 12 U.S. Code § 418. The law does not say these denominations have to be produced. Section 411 lets the Fed decide. In 1969, the Fed decided to stop producing large denomination currency. By the Fed’s definition, large denominations are FRNs larger than $100. Currently, the $2 FRN is being produced. The Fed does not order many and the rest are produced for the collectors market. Yes, that was my answer and I’m sticking to it! Question #10: If you didn’t collect coins, what would you collect? In reverse order, I do collect lapel pins from situations meaningful to me. I have a collection that includes past professional activities, interests, places I have visited, and more. While I have some sports memorabilia, I am jealous of the collections I have seen of people who just pickup items as they go along. Of course those people are like Penny Marshall who have a phenomenal collection but also has access. When I mention cars, I am not talking about a Jay Leno-like collection, but I wouldn’t mind his collection. I am just looking for a few cars to have some fun with. While I own a 1974 Plymouth Gold Duster with a 225 cu. in. Slant 6 engine (memories of my youth), I want other classics. A few great examples come to mind like a 1959 Cadillac convertible in red (Eldorado or Series 62, I don’t care which), a 1968-70 Dodge Charger R/T with the 426 Hemi engine in Plum Crazy purple, and a 1930s 4-door car to create a hotrod (yes, I know 2-doors are more popular, but I have an interesting idea). Every so often I see movie or television-related cars that come up for sale that I think would be cool to own. But I digress. While I am looking for a token with a cut-out “Q” as part of its design (it does not have to be a transportation token since none were made like that), you can check out the survey and compare my answers with those from the other experts. Infographic courtesy of International Precious Metals. Friday was an important day for bullion buyers and buyers of collector coins whose prices are strongly tied to the price of gold. It was the day that the London Bullion Market Association (LBMA) launched its new electronic-based gold benchmark system, London Gold Price, replacing the century old London Gold Fix. It ends an era when the bullion traders and refiners created a market to set the price in 1919. From the beginning, the market was hosted by Nathan Mayer Rothschild & Sons by the members of The London Gold Market Fixing Ltd. The market was moved to Barclays when NM Rothschild exited the bullion market in 2004. The move to an electronic system followed the revelation that in June 2012 an employee of Barclays Bank manipulated the gold fixing process. Unfortunately, it was not an isolated incident. When Barclays was investigated, it was revealed that there were such system and control failures that members of the bank had been manipulating gold prices since they started hosting the market. In May 2014, the Financial Control Authority, the British equivalent Commodity Futures Trading Commission, fined Barclays £26 million for not properly managing the market. What made the old system susceptible to manipulation was that it was still widely a human controlled process with bidding arbitrarily controlled behind then scenes. Even as the market moved toward a more technological approach, it was as if the technology was being used as the proxy with a human still doing the arbitration. Think of it as if the computers would provide the bidding but there was still an human auctioneer managing the bids. The new market is electronically run and monitored in cooperation with the LBMA. Rather than a single source being responsible for all of the benchmark prices, the LBMA Gold price auctions are held twice daily by the ICE Benchmark Administration (IBA) at 10:30 AM and 3:00 PM London time in U.S. dollars. IBA is an independent subsidiary of the Intercontinental Exchange (ICE) responsible for the end-to-end administration of benchmark prices. They do not buy or sell commodities but manage the transactions and setting rates based on market forces. To further diversify the market, the LBMA Silver price auction is operated by the CME Group, a Chicago-based market maker, and administered by Thompson Reuters. The London Metals Exchange administers the platinum and palladium price market. Silver auctions are held once per day at noon London time. Proponents of the new market system touts its stronger oversight and detailed audit trail capabilities to support the new regulations as making this market more trustworthy than the previous system. Detractors wonder if the new electronic system could create market inequities that was seen in U.S. markets with programmed trading. News reports suggest that the new market operated without problems on its opening day. In fact, the market saw a rise in all metals by the afternoon auction. This is to inform you that on Friday, March 20, 2015 the U.S. Mint will start using the LBMA Gold Price (PM) to price and settle all of its gold bullion coin orders. The new gold price replaces the London Gold Fix and will be managed by the ICE Benchmark Administration (IBA). We do not anticipate any transition issues. Moving forward all gold bullion transactions with the United States Mint will utilize the new LBMA Gold Price (PM) in place of the (PM) London Gold Fix. While the move will make the markets more transparent and possibly open it to more participants, it is uncertain how this will affect the price of metals in the long term. For that, my crystal ball does not compute! London gold price snapshot courtesy of Kitco. Can you really invest in coins? This is not the first time someone asked me what I thought would be the price of rare or gold coins in the future. It is also a question that I do not like to answer since I am a collector and not an investor. Markets are difficult to predict. Even the experts get it wrong. For example, a simple Internet search will find articles that appeared in MarketWatch, Reuters, and The Guardian from the United Kingdom predicting $2000 per ounce prices for gold. In March, the financial site The Motley Fool had an article saying that gold could hit $2000 per ounce next year. In reality, gold opened the year at 1670.95, the high for 2013 and is 1309.64 as of Friday’s (October 25) close. Even with a small spike in August, the trend is going down. But does the trend mean that gold will still go down? Predicting the price of gold and rare coins can be a similar test of ones nerves. One interesting way to look at the market is to see what the PCGS3000 Index says. The PCGS3000 index uses a sampling of collector coins, type coins, varieties, and differing grades to create a market index. Their sample are considered classic coins (1792-1964) including gold and early commemoratives to total 3000 coins. This recent history of collector coins shows an upward trend over the last year as the economy has improved (see graph below on the left). However, looking over the last 10 years (graph below on the right) the peak occurred before the economy turned sour at the end of 2008 and has largely remained flat since falling to a low in 2010. Does this mean gold and rare coins are not a good investment? If you bough during the run up in value in 2008, you are behind. However, coins purchased from the beginning of the ten-year chart should yield a better return for investors. Those thinking that gold coins may be a better investment might want to consider that the price of their coins will be tied to the price of gold. Both the PCGS Generic Gold Coin Index (below on the left) and the PCGS Mint State Rare Gold Coin Index (below on the right) almost mirrors the gold market over the last year. In fact, looking at the 10 year history the Mint State Rare Gold Coin Index almost mirrors the PCGS3000 Index while the Generic Gold Coin Index is all over the place and does not even follow the price of gold for the last 10 years. PCGS Mint State Rare Gold Index seems to mirror the PCGS3000 index. While you are thinking that this may be particular to gold coins, investors in 20th Century Coins (see chart below on the left) and Morgan and Peace Dollars (below, right) may be scratching their heads looking for a better return. PCGS 20th Century Coin Index may indicate that coins from our recent past may not be a good investment. As a layman, what appears to be a hot market is the very high end market. These are the extremely rare coins, coins with extraordinary pedigrees, and unique collectibles. Not every collector or investor is going to be able to own a 1794 Flowing Hair dollar that sold for $10 million last January, the George Walton 1913 Liberty Head Nickel, or a 1880 Coiled Hair Stella which is really a pattern that sold for $2.5 million in September. Even rare copper coins are selling at a premium. The mantra of investing is to buy low and sell high. The problem is knowing what to buy. By the time someone figures out what is the best investment, the prices are going up and the investor value is lost. Along with knowing the coins and their value, timing is everything. For example, is now the time to look at what are sometimes called exotic U.S. coins? Exotic coins are those produced before the 1870s like the Bust and Liberty Seated coins, Trade dollar, and even the rare two- and three-cent coins. Many of these coins are overlooked by a lot of people, including collectors, sometimes because of cost other times because they are not as readily available. Predicting the coin market is more difficult than stocks and commodities. With the capital markets there is company performance data, yield of crops, world conditions, and a lot of measurable factors that the professionals use. None of that exists in the coin investing market. Prices can be predicted by rarity to a certain degree, much of the pricing appears to be based on emotion: what will you pay for the coin. For instance, if the 1794 Flowing Hair dollar sold for $10 million what would the only legal-to-own 1933 Saint Gaudens Double Eagle sell for today? It used to hold the record for the most ever paid for a single coin when it sold at auction for $7,590,020 (including buyers premium and the $20 that was required to monetize the coin) in 2002. In case you were interested, according to the Bureau of Labor Statistics CPI Inflation Calculator, adjusted for inflation, the price paid for the 1933 Double Eagle in 2002 is $9,867,321.33 in 2013 dollars. Even adjusted for inflation, the price does not beat the 1794 dollar! If you are interested in trying to test this market, I wish you well. I am a coin collector not an investor. I do not think that will change. However, if you are looking for an interesting investment market, I hear the market for classic cars, including the muscle cars of the 1960s and 1970s are an affordable and growing market. And if you do not want to enter that market for investment, at least you can consider an emotional purchase—like I did! This 1974 Plymouth Gold Duster with a 225 Slant 6 is a memory that is on a truck on its way to is new home in my garage! The coin market charts are all from PCGS and their PCGS3000® index. Half Dime image from Wikipedia. Unrest continues in the mining communites of South Africa as the National Union of Mineworkers (NUM) ups their efforts to calm the rank and file. The NUM, an ally of the ruling African Nationa Congress (ANC), have rejected calls to exploit the termoil for the benefit of the workers. The strike has virtually shut down the Lonmin mine that supplies 19-percent of the platinum to the world. Gold One is reporting that the wildcat strike that caused four injuries yesterday was open on Tuesday. However, the nearby Aurora mine also owned by Gold One remains closed. Worker unrest is happening during the campaign for control of the ANC. Former youth leader Julius Malema has been travelling to the effected mines blaming President Jacob Zuma for anti-worker policies and accusing the NUM of partnering with the ANC not in the benefit of the workers. Lonmin and Gold Fields stock, already depressed prior to current events, are down even further on the United States and South African markets. Trading on Gold Fields stock in South Africa has been halted on market trading rules. Currently, gold and platinum prices are trading based on current economic conditions with futures looking at December delivery of these metals. An analyst interviewed for this story said that if the unrest continues, the futures prices will not be affected until late January or early February deliveries are traded—which could begin later in September. The Coin Collectors Blog will continue to monitor the international reporting and market reaction for their effect on metals prices. Stay tuned! An unidentified mine worker sits on a rock at the Lonmin mine near Rustenburg. Reports from South Africa say that workforce attendance at the Lonmin Marikana mine at 4.5-percent across all shafts as the mine reopened Monday morning, the lowest since the the August 16 massacre that killed 34 striking miners and wounding 78. The report comes following the dropping of charges and release of 270 arrested miners charged with those murders. Unrest continues as police used tear gas and rubber bullets to turn back a group of about 60 mineworkers at the Gold One mine at Modder East near Johannesburg who was blocking the roads and throwing rocks at vehicles trying to enter the mine area. Four miners were reported hospitalized by police actions. Fear of national mining disruption continues as strikes spread to gold mines in South Africa. Local business leaders are afraid that the strikes will hurt South African mines in the long term causing a ripple effect in the economy. South Africa is the world’s third leading producer of gold behind China and the United States. Market analysts have been reporting that since they see South Africa as an “investor-unfriendly” country that most investments are in exchange-traded funds (ETF) that helps balance the risks. Gold futures for December delivery rose $9.60, or 0.6-percent, to $1,697.20 an ounce in electronic trading today. London Gold Fixing PM price was $1,691.50, up $5.50 from the AM fix or 0.3-percent. U.S. markets were closed on Monday for the Labor Day holiday. AP Photo/Themba Hadebe of striker courtesy of IOL Business Report. Gold Production graph courtesy of ZeroHedge. With the politics of the economy turning volatile, I tried to keep out of that discussion on this blog to keep the discussion to coin-related issues. But with the price of gold climbing to its highest nominal rates of all time, it is difficult to ignore the market. As I write this, gold is current 1793.20 per troy ounce on the spot market. Market volatility has been blamed on many fronts. It started with Standard &amp Poor’s, the rating agency that gave top grades to derivatives that caused the market failures in 2008, downgrading the credit rating of the United States to AA+ from AAA. The word came across the pond that the PIIGS of Europe may not only be too big to fail, but too big to help. The PIIGS are the five Eurozone nations who are either in economic collapse or near one: Portugal, Italy, Ireland, Greece, and Spain. The more volatile the markets are, the more investors run for gold running up the prices. But if you think the prices are high, consider what happened on January 18, 1980 when gold closed at 850.00 per troy ounce. That run up of gold came during the time that the Hunt Brothers were trying to corner the silver market as a reaction to the down economy and the rise in the solver market. Adjusted for inflation, $850 in 1980 would be equivalent to $2,328.44 in today’s dollars. If this does not dampen you excitement over the price of gold, you could watch the argument between “experts” who think $2,000 per ounce is possible versus others saying that gold could plummet in value. Consult a profession before you make any investment. For a little perspective on the price of silver, it is currently training at 39.29 per troy ounce, down from its high of 48.70 on May 28. That did not pass the nominal close of 52.50 reached on January 7, 1980 when the Hunt Brothers tried to corner the silver market. Adjusted for inflation, the Hunt Brothers ran the price to the equivalent of 143.82 in today’s dollars. Even at a 25-to-1 ratio, the price of gold would have to climb to $3,575 per troy ounce before the value of silver breaks 1980’s records. In 1980, the Dow Jones Industrial Average closed at 832.00 on January 7 and 867.15 on January 18 before dropping in March. It would take the market until November 20 to close at over 1000 for the first time in its history. After dropping back and flirting with 1000 points a few more times, it would take until 1982 before the market climbed and stay over 1000 points. What have we learned from this look at history? Not much. At first glance it looks like the economy is not as bad as it was in 1980. But that history was caused by market manipulation. Will history repeat itself? Time will only tell.